J'écoute vos disques avec grand intérêt ; je trouve les arrangements excellents : ils ont un grand sens musical ! The arrangements are excellent : they bring great musical sensibility. Jean-Michel Nectoux, biographer and editor of the works of Gabriel Fauré, Institut de recherche sur le patrimoine musical en France. With the nudge and encouragement of so many Jazz Fauré fans, Claudia has resumed work on a musical theatre play inspired by the songs of Jazz Fauré. In 1881 at a resort by the Seine, characters in Renoir's Luncheon of a Boating Party sing the songs of Gabriel Fauré with a twist of jazz. Enter a young artist Béatrice Morot, ready to take on the closed world of male artists like painter René, and not so ready when she falls in love with a married musician. Claudia is in search of collaborators to bring the work to life: lyricists and librettists, singers, actors, directors, designers, arrangers, instrumentalists, producers! If you are interested in perusing the work in progress, please call Claudia at 773-509-9360 or write to clobert (at) cabaret-paree.com! Meanwhile you can catch Claudia at upcoming shows listed at the cabaret-paree calendar. 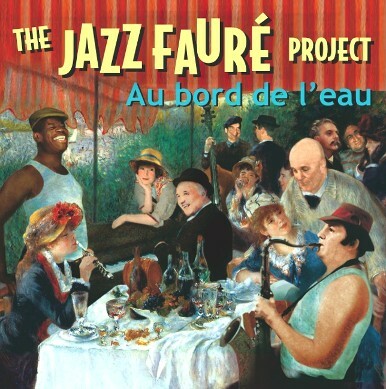 French impressionism meets American jazz: songs of 19th century French composer Gabriel Fauré are arranged for 21st century jazz combo and vocals, and why not? Our music is full of color and light and fleeting spontaneous gestures. Romance, cynicism, ardour and dreams. 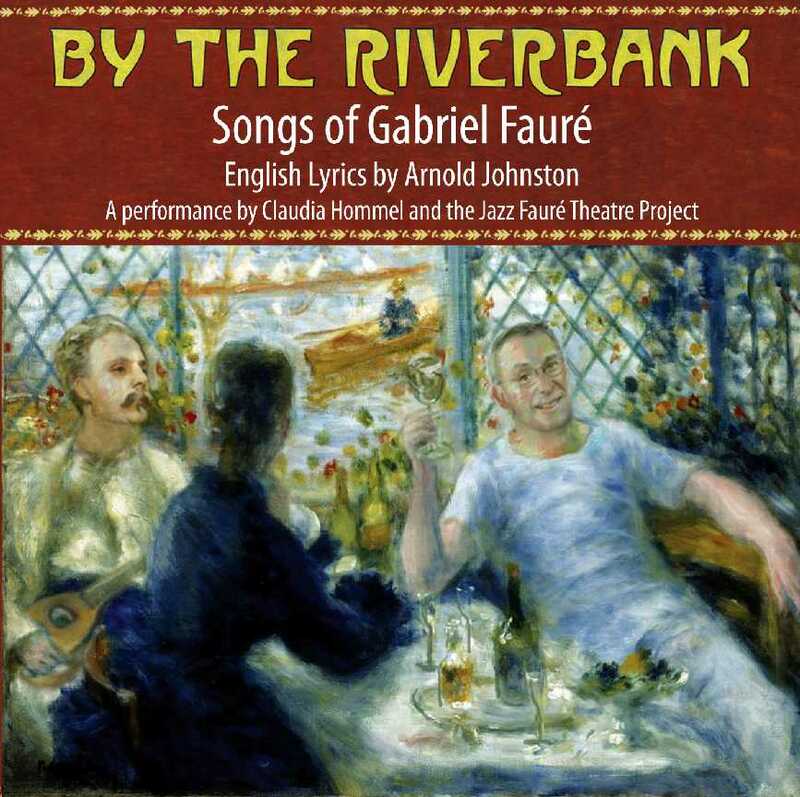 By the Riverbank, the classic love songs of Gabriel Fauré swing in English. Here's the lineup of fabulous singersKT McCammond, John Eskola, Amanda Hartley, Sean Harris, Sean Effinger-Dean, Jeny Wasilewski, Elizabeth Doyle, Johnny Rodgers and Claudia Hommel.